I know, right?!? I didn't say "Legends" because I, er, [font=8]haven't played any of the MM Legends games[/font]. I've only done R&C. The "many weapons and guns" play in a 3D action-platformer is one of my weaknesses. I'd probably back that, too. Rumor is that the current mystery tier reward is a portable version of the game for 3DS and Vita. We got the documentary, Mighty Beckers! The current Kickstarter is at 1.8M - console versions are at 2.2M. Gogogo! Knock 'em down! 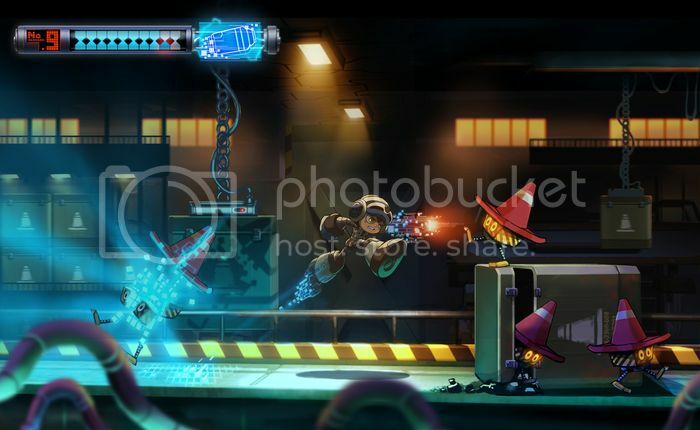 $3.3 million stretch goal is now for PS4 and Xbox One versions. Whoa. New tiers - $60 and $80 for full digital participation - all the (digital) things + beta access for $80! Could be a good level of patronage for peeps who already have the shirt. New, awesome stretch goals, and we're almost to the first add-on! Boss Rush Mode! Challenge Mode! Extra End Stage! Extra Bosses! BECK AND CALL ONLINE COOP CHALLENGE MODE!!! Is Call playable?!? Is Call playable?!?!? I'm freaking out! Boss Rush Mode stretch goal has been reached. Only $35,000 to go for console versions! If you're a console gamer, your patronage could tip the game over to the console of or choice! Or, wait until the goal is reached and chip in then! Playable Call still needs to be reached. Make it happen, you Mighty Numbers! I was only planning on kick-starting this if it hit the Vita/3DS tier and have been checking in every few days to see how that panned out. This morning I noticed that there's an Unreal Engine test set up and it looks really pretty for some pre-alpha type footage. I'm in now. By the way, true believers, Call is now playable!!! Megaman 2 composer Takashi Tateishi is on board! The hits just keep comin'. Intro stage and boss is reached! In the closing hours of this Kickstarter, we're at 3M+. Support Character at 3.1M is nearly assured, with 3.3M for PS4 and XB1 versions and 3.5M for portable versions just out of reach. Will the Mighty Numbers make it to the small screens?!?! The suspense is killing me. LarryC, there's also at least another $88K they're including from PayPal. So they're actually above 3.15M right now. 3.3M seems reasonable. 3.5M plausible but not likely. I really hope picking Unreal Engine isn't going to prevent them from doing Wii U and 3DS development. I seem to recall Mark Rein not being terribly impressed with Nintendo's hardware in the past. Very surprised they didn't go with Unity which seems to be the engine of choice for most indie games lately. Right! Support Character Goal is Smashed! Man, this is a totally full-featured Inafune action game now. More, 'cause we got the Call coop character with the dedicated coop stages. I'm not really too excited about the PS4 version, but who knows? Maybe I'll change my mind before the game ships. There is very likely going to be a Wii U version as it's one of the goals reached. Oh right, forgot UE3 has been used on Wii U. The 3DS goal will be interesting if they get it. Looks like Vita is fine but I'm not seeing any mention of the 3DS on the platforms page for the engine :\ I'm sure the team knows what they can and can't do with the engine but it is a little eyebrow raising. Oh right, forgot UE3 has been used on Wii U. The 3DS goal will be interesting if they get it. Looks like Vita is fine but I'm not seeing any mention of the 3DS on the platforms page for the engine : I'm sure the team knows what they can and can't do with the engine but it is a little eyebrow raising. As far as I know, Comcept isn't actually going to do any portable porting at all. The stretch goal is to pay another company to do the porting - it's an outsourced job, so to speak. Frankly, I'm not super confident about that, so I'm okay with it being a bit far away. If they take Renegade Kid up on their offer to handle the 3DS port, I'd be excited. They've made some good 3DS games and understand the hardware well. Whoa! 20 hours to go and PS4 and XB1 versions of the game just happened! Portables are within reach!! Wow. There's a chance that might actually happen. Gogo Mobile Mighty Numbers! The last spurt is on. 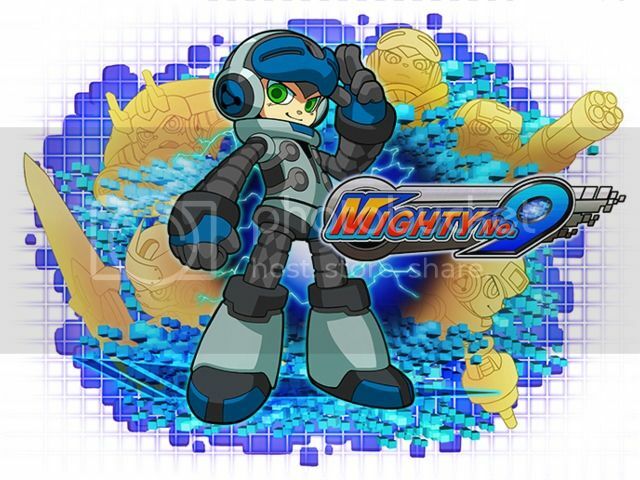 Only a few hours are left to get in the creation process of Mighty Number 9! Make yourself heard! Back the Kickstarter! Mobiles are in. The stretch goal to make 3DS and Vita versions through Renegade Kid has been met! It's well north of 3.6M now. The home stretch push is huge. The $4M tier sounds pretty fun, I don't expect it but I like the concept. Single player Call stage is now reached! This last day surge is amazing. Nearly $600k in the last day, is it? Aaaand, the Kickstarter is now done! All stretch goals were reached. It's incredible. In the closing hours of the Kickstarter, both the extra chiptune feature goal and the online Battle Race mode goals were reached. Wow! This gunna be good. Oh yeeeeah. That was so sweet. For anyone who missed the KS campaign, they've opened up a slacker backer page for pre-orders via Paypal (starting at $23 for a copy). Slacker backer funds will be applied to additional stretch goals but no additional funding is needed to complete the game and features that were promised to backers. I didn't know where else to post this question, so I'm going to ask here and see what happens. I'm playing Megaman Maverick Hunter X on the Vita (PSP) . Has anyone beat it? I'm having a tough time with Rangda Bangda.